Jason graduated from the University of Utah in 1996, earning a B.S. in Business Marketing and a B.A. in Political Science. While an undergraduate student, Jason took two years off from school and lived in Japan from 1990-1992 to serve as a Missionary and Volunteer for his Church. During this time, Jason learned to write and speak Japanese fluently. After returning home from Japan, Jason interned for Senator Robert Bennett (R-Utah) in 1994. Jason graduated from the Santa Clara University School of Law in 1999, receiving his Juris Doctorate. 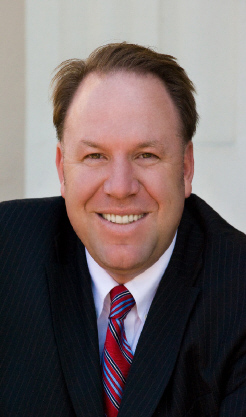 After graduating from Santa Clara School of Law and being subsequently admitted to the State Bar of California, Jason started his own law practice focusing on Estate Planning and Family Law. Jason has been practicing law for over 10 years serving the legal needs of families in Silicon Valley. Jason is a member of the State Bar of California admitted to practice before all the Courts of California and U.S. District Court, Northern District of California. Jason is also a member of the Santa Clara County Bar Association. Jason is an active member of BNI (Business Networking International) and serves on the Board of Directors of the Oak Grove Little League. Jason is active Church and spends many hours volunteering for the Church. Jason is married and has 2 children. He enjoys spending time with his family and enduring the “torture” of being a San Francisco Giants fan.